Whether you like it or not, moving from one house to another is a daunting task. It takes a lot of planning and skilled labor to execute house moving services in Nairobi efficiently. Apart from that, we bet you have specific requirements and this why you should opt for professional house moving services in Nairobi. For those who are shifting for the first time, we understand that they have a lot of doubts in their mind and various questions to ask. We know that you are unsure about the whole process of house shifting. Starting from packing your valuable items to planning the route of your transportation, we understand how stressful a home relocation can be. With that in mind, Taylor Movers offers you the most comfortable and authentic house moving services in Nairobi. This might be your first time, but Taylor Movers is here to offer you the top-class house moving services where you won’t have to compromise on your comforts. While hiring house moving services in Nairobi, you might come across a lot of companies offering relocation services. This is why you have to keep certain factors in mind while hiring relocation companies. You might find a lot of companies offering relocation services at cheap rates, but only choose the ones which are legitimate and certified. Necessary Gadgets: Moving a house is a major responsibility and this is why you need expert help at every stage of relocation. The professional house movers are equipped with different specialized gadgets and tools for shifting a house from one place to another. The professional house moving services in Nairobi come with trained individuals who make the process of shifting really smooth. Having the necessary gadgets and manpower is one of the most important reasons to hire a professional house shifting company. With the presence of well-trained professionals, you can rest assured that your valuables are being shifted with utmost dedication. A professional house relocation company will take complete accountability for the goods being shifted. Proper Planning: A professional house relocation services company will have experienced route planning and mapping professionals. Once you contact house moving services in Nairobi, they will start planning immediately. You will get a proper schedule of timings, starting from the packing, relocation to the unpacking of all your valuable articles. A professional house moving services in Nairobi will dedicate the necessary time and effort for every single client. They will make sure that the luggage is being transported through the best routes so that the shifting is absolutely smooth. Without a proper route planning, the shifting cannot be smooth. Choosing random routes will make the process of relocation extremely time-consuming. Experience: When it comes to executing a successful household relocation, the experience is something that really matters. Taylor Movers, being a professional house moving services company in Nairobi, has been in the relocation industry for a long period of time. They know exactly how to handle personal belongings throughout every stage of the relocation process. The smaller articles are carefully boxed and the larger articles like furniture and electrical appliances are safely packed to prevent them from damage. Once they are packed and delivered safely, every article is arranged at your new house according to your preference. And all these will be done in a very short period of time because doing relocation works for innumerable clients have enabled them to offer perfect house moving services in Nairobi. Apart from the training, it is the short and clever tricks which they have obtained through years of hard work. 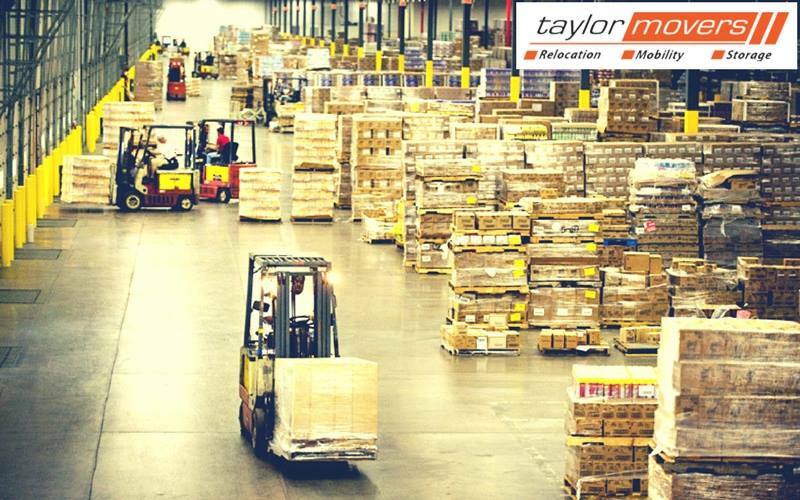 And this is what differentiates Taylor Movers from other relocation companies. Efficient Time Management: Time is of utmost importance for every person who is looking for house relocation. Another important factor of hiring professionals for house moving services in Nairobi is, they are efficient in saving the valuable time of their clients. A professional house relocation company will always maintain the schedule of every client. Compared to any inexperienced or novice house relocation services company, the time saved by a professional ensures peace of mind. It also depicts their efficiency in handling a lot of clients while maintaining the quality of services offered towards every single client even during the peak season. Authenticity: Once you finalize a house moving services company, there is a contract involved. And that contract binds the organizations offering house moving services in Nairobi to fulfill the contractual obligations in a timely and professional manner within a finalized price. Thus, when you are hiring a house moving services company, you will be asked to sign an agreement involving the relocation. Make sure the company you choose, is absolutely genuine and certified. A genuine company will have real-time reviews and ratings which offers a clear perception of their quality of services. It should also offer an insurance in case any of your valuable articles gets lost or gets damaged during the transportation process. And finally, a genuine relocation services company will offer affordable and right quotations for relocation. All these factors determine the authenticity of the company. The Quality of Packing Materials: A lot of people don’t want to opt for the professionals while packing their valuable articles. It is extremely important to get professional help right from the start of packing because safety is of utmost importance. It will take a long time to get the right packing materials for your valuables. The professionals offering house moving services in Nairobi come with top quality packing materials which include bubble wrap, packing paper, markers, tapes and anything else necessary for packing and relocation. They have got the damage proof packaging materials which ensure that all the packed articles for every client are safely delivered without any damage. Being a professional movers and packers company, they know much better ways to pack and they will do it with the best moving supplies. Save More Stress Less: With the efficient and timely services offered by the professional house moving services in Nairobi, you get faster transportation, timely delivery of your belongings, and there is no need to purchase additional moving supplies. Clearly, a professional relocation services company saves both time and money for you. And since you won’t have to worry at all about the steps or plan of transportation, you don’t have to stress about your big moving day. Getting the help of professional house moving services in Nairobi is the best way to make the relocation process easier and simpler for you. 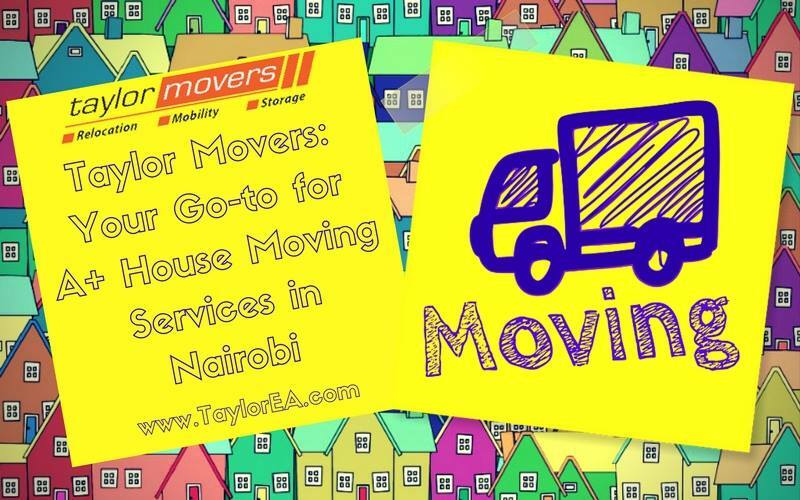 What Makes Taylor Movers the Best House Moving Services in Nairobi? 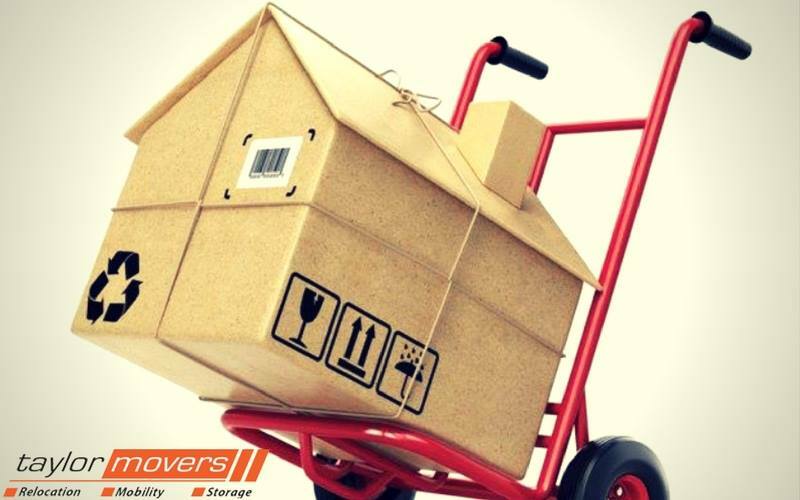 There are a lot of factors which make Taylor Movers as the best house moving services in Nairobi. First of all, the company is absolutely authentic and the most reliable one in Kenya. Taylor Movers is certified and you can get in touch with the executives to know the status of your relocation proceedings at any time of day or night. Next is, they offer the best and most affordable quotations for the relocation services without any compromise in quality. The rates for relocation services are transparent and there are no hidden charges at all. You can rest assured that, the cost mentioned in the contract is the only price they are going to charge for the relocation. So, you can rely on the price they offer. 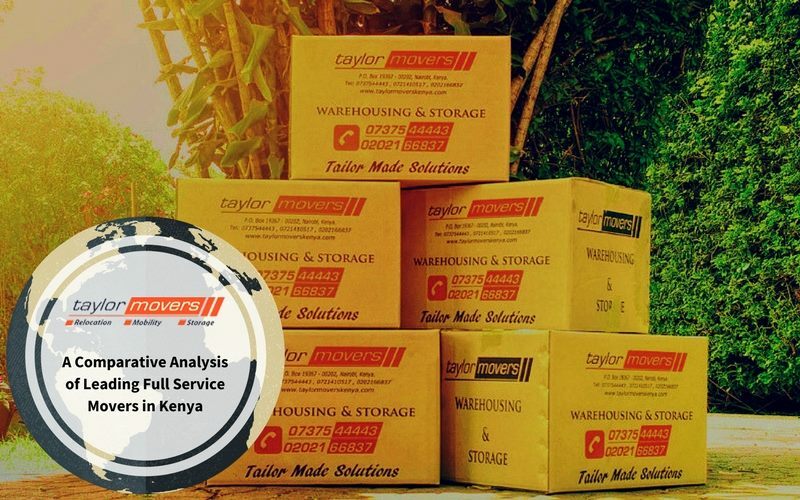 Taylor Movers offer both local and international house moving services in Nairobi. 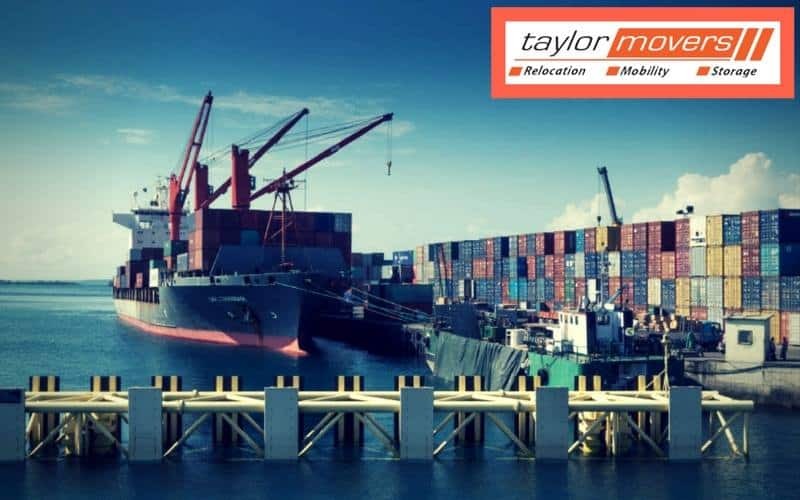 For both local and international home shifting, Taylor Movers have got professional consultants who can offer you with a clear idea about your overall relocation process. They take care of all the packing requirements and any other specific requirements for heavy articles. For international services, it is also necessary to have a storage option. In case it becomes necessary to pause the transportation for a day or two because of some urgent issues, there must be sufficient storage options. 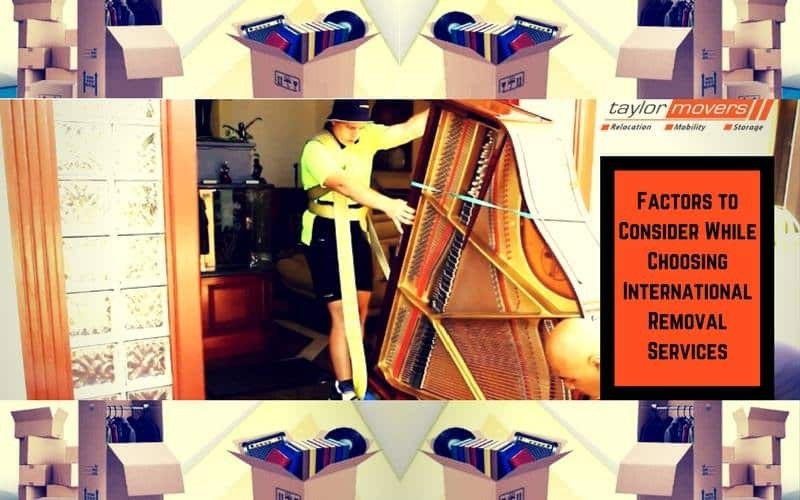 Taylor Movers have got the necessary storage options to safely keep the valuable belongings of their client. For international house moving services in Nairobi, it is really essential for a relocation company to clear the customs check and the documentation process. Now, this can be a lengthy process for a lot of movers and packers company. As we have already mentioned before, Taylor Movers have been in the relocation industry for a long time. And this is why they have got the networking capability to fasten the documentation process in customs department and make your relocation easier. Considering all the above-mentioned factors, it can be definitely said that Taylor Movers offer the best house moving services in Nairobi. The company specializes in both local and international relocations. It focuses completely on customer satisfaction and by providing excellent relocation, house shifting, transportation, expatriate mobility and logistics services. Every client is of the same importance to Taylor Movers. Starting from a small local home shifting to an international home relocation, Taylor Movers bring the most authentic and reliable relocation services. If you are planning for home relocation anytime soon, then it is the right time to contact Taylor Movers.